Inspired by the fight taken to Maverick’s over equal pay and the World Surf League’s subsequent equal pay announcement, a new face in the California State Assembly is hoping to codify equal pay for male and female athletes that compete in California. On February 11, Assemblymember Tasha Boerner Horvath, who represents California’s 76th District in North San Diego County, introduced Assembly Bill 467, called the “Equal Pay for Equal Play” measure. If passed into law, the bill would require any competitive sporting event with different male and female divisions hoping to run on state-managed lands to offer equal prize money for men and women. Or else, permit and lease requests will be denied by state agencies. According to Assemblywoman Boerner Horvath, the impetus for the bill was a conversation she had last year as a City Council member in Encinitas prior to winning her seat in the Assembly. On August 23, the State Lands Commission drafted a blistering staff report requiring future lessees of Maverick’s for events to pay men and women equally. Days later, the issue came up in conversation with Cori Schumacher, herself a member of the City Council in Carlsbad, a three-time women’s longboard champion, and a longtime vocal advocate for equity in women’s surfing. It was that conversation that ultimately led the newly-elected assemblywoman to author AB 467 as her first legislative act in the State Assembly. The effort seeks to make equal pay at competitions that use state lands California state law. In a Thursday press conference overlooking Cardiff State Beach, Boerner Horvath was joined by San Mateo Harbor Commission president and CEWS founding member Sabrina Brennan who detailed her decades-long battle in the fight for equality in big wave surfing. She explained that CEWS was thrilled to throw its support behind the bill. 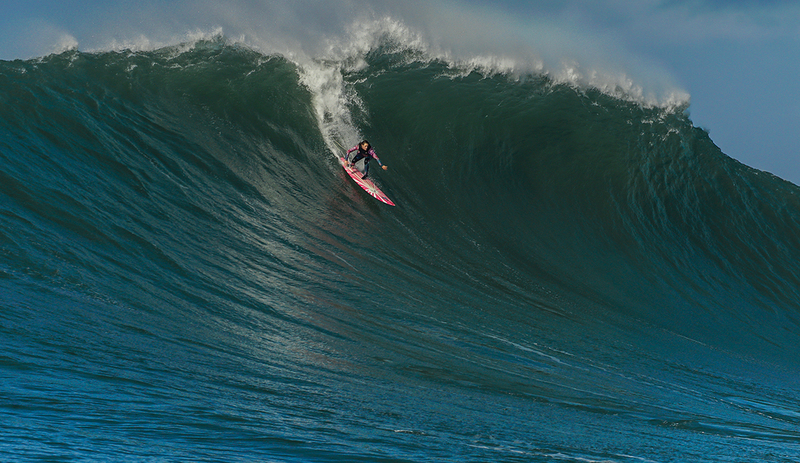 Though inspired by efforts by surfers, Boerner Horvath’s hope is that equity extends beyond the World Surf League to all levels of surf contests as well as other sports leveraging California’s public lands – from cycling to marathons. In the few days since the text has been finalized, the bill has received overwhelming support, said Boerner Horvath. The committee hearing process for it is set to begin on March 14th.